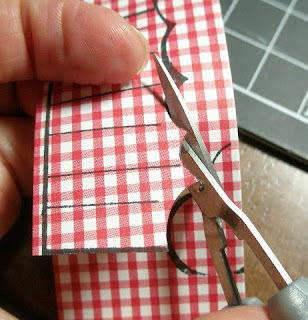 Paper piecing is a fun way to give your old stamps a new look. This technique is a favorite of mine. 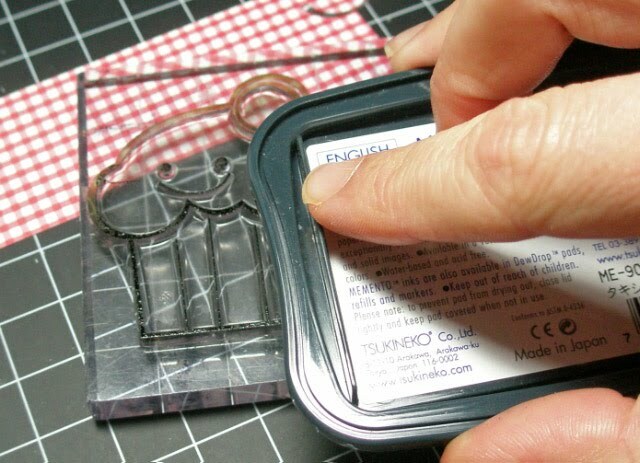 Depending on the stamp you choose, you could have a bit of tedious work ahead of you, but for the most part this is super easy to do. STEP 1: You can ink the entire stamp, but to save ink, I ink only the portion I am going to be using. 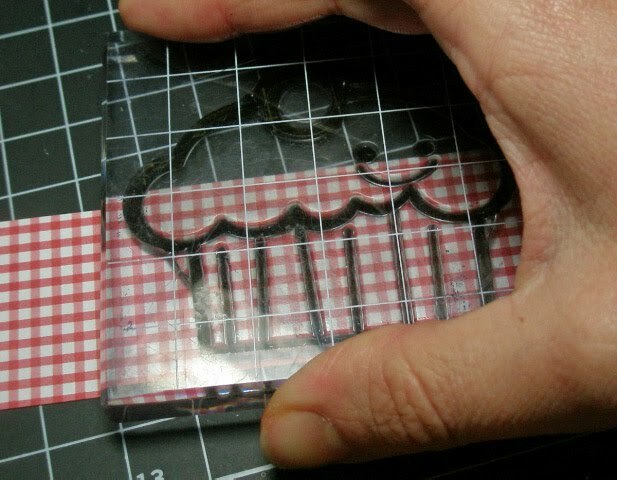 STEP 2: Stamp on the patterned paper of your choice. STEP 3: Cut out the portion of your stamped image (I have found that micro-tip scissors work best for this process). STEP 4: Continue Steps 1 through 3 for each "piece" of the stamp. 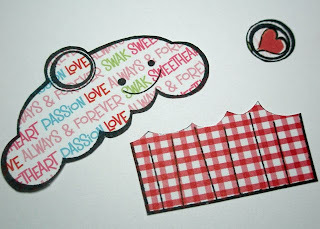 The photo below shows all pieces of the stamp I chose. STEP 5: The final step is to adhere to your project. 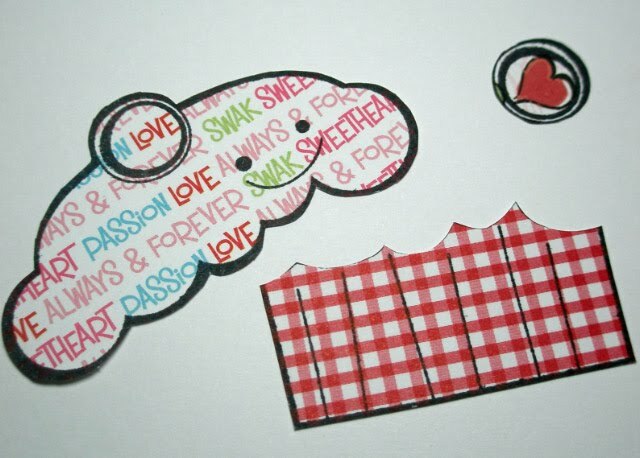 Using Pop Dots/Foam Tape will give your image added interest and dimension. Oh my goodness, that cupcake has a smiley face!!! Too cute!! 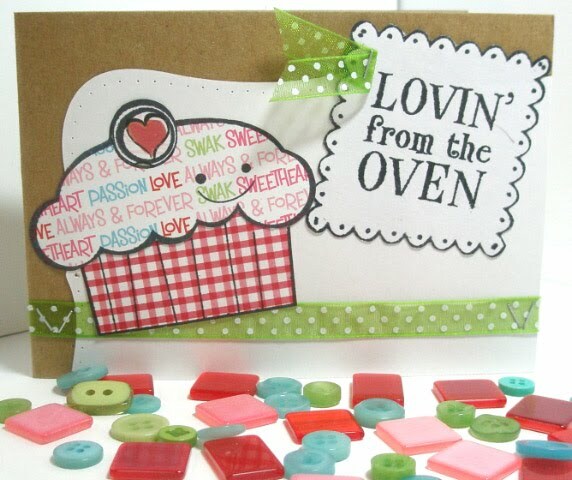 What a cute card!!! Love that paper piecing! 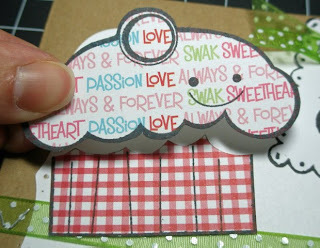 Love your blog and the paper piecing that card rocks. Love this technique. The card turned out SUPER CUTE! !